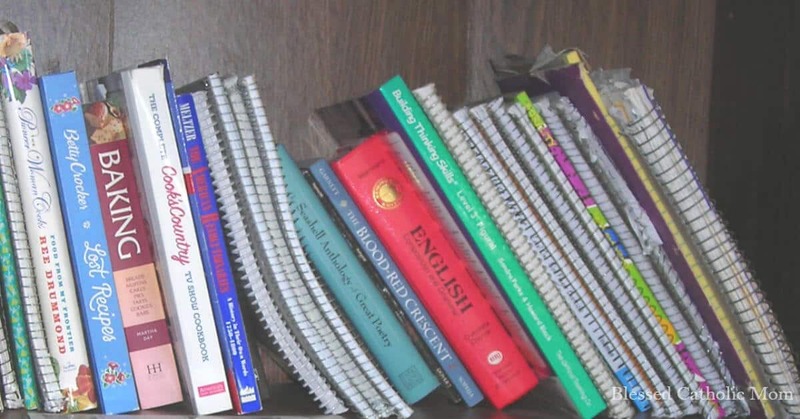 Two Steps to Conquering Clutter - Use two steps daily to conquer clutter. Clutter is a strange beast. Sometimes I don’t see it at all in our home: it is invisible to me when I am focused on other things. Other times I see it everywhere I turn: mail on the kitchen counter, toys on the floor, laundry on the couch, and “I have no idea where to put this” items in every room in the house. I also tend to see the clutter my husband and our kids leave behind more than what I leave behind. Unfortunately, clutter is not something we deal with once and then are done with forever. (I wish!) Having a plan to conquer it and then keep it from taking over again is key. 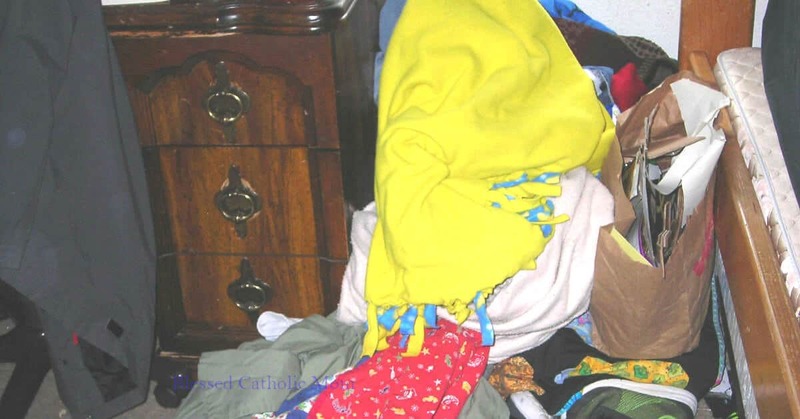 Clutter is an item that is not in its proper place. 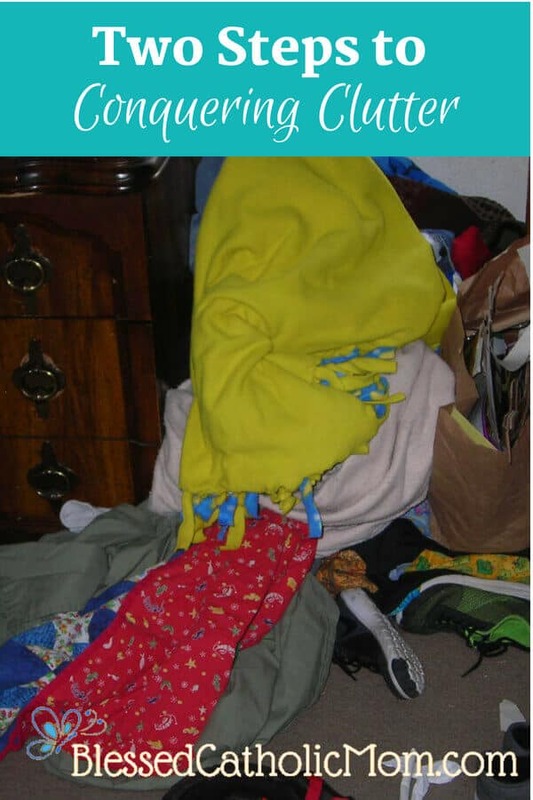 Multiplied many times over, clutter is many items all over the house that are not where they belong. I don’t have a place to put or store an item. I have not put an item away. Subscribe to Blessed Catholic Mom. Get your daily planner page for free to help you organize your day. 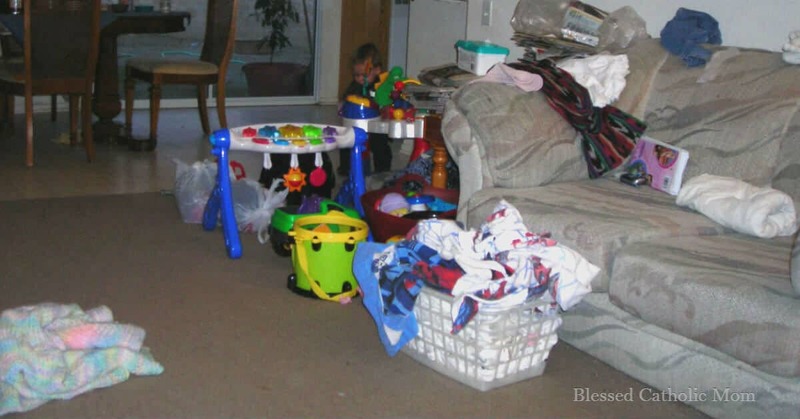 Why should I conquer clutter? First, I have two questions for us to ask ourselves: How do I feel when I have less clutter in my home? How do I feel when I spend a concentrated effort cleaning up my home (especially the usually neglected areas)? more space-We have clear counter surfaces and floors and our closets and garage are not full to the brim. more free time-I’m not spending time looking for things or spending time moving things around to clean under them. more peace-I have less stress and aggravation because I do not need to look in piles for things and there is not clutter piled up almost everywhere I turn. Put things away where they belong when I am done with them. Put things away that got left out. This means that things need to have a place where they belong. Note: sometimes that place is in the trash! I used to say that “If I had a place for everything, everything would be in its place.” Now I understand that having a place for everything makes life much easier. When we have a specified place for everything, we are not constantly trying to decide where to put something or trying to remember where we already put something that we now cannot find. When every item has its own place, its own home, we are all happier. When we were newly married, a friend gave us a set of hooks for keys that we could mount on the wall. We put it up and have used it ever since. It is rare that we neglect to put our keys there and when we don’t, we sure wish we had! Even spending five minutes looking for keys is really frustrating and annoying to me when I know they have a place where they belong. Besides using a system already in place (like for our keys), sometimes we need to create a system or make a place for an item when we don’t already have one designated. As our kids were getting older and were responsible for cleaning up their own toys, having a bin (one that is not too big!) for them to put their toys in made clean up easier. They knew where their toys went when it was time to put them away and where to find them when they wanted to play. This means spending time each day to put things away. Now, don’t panic! The time allotted each day could be five minutes. We can get a lot done in just five minutes. Set a timer and see how much you can get done! I sometimes spend five minutes three times a day and get even more done. Find time in your day when you have a few minutes where you can declutter. For example, I often declutter while I am on the phone. Every little bit adds up. Remember, the clutter did not appear overnight (although sometimes it seems that way!). It will take some time to be put away. The two keys are spending time consistently to put away something when you are done with it and to spend at least five minutes a day putting away what got left out. We can do it. One day at a time.